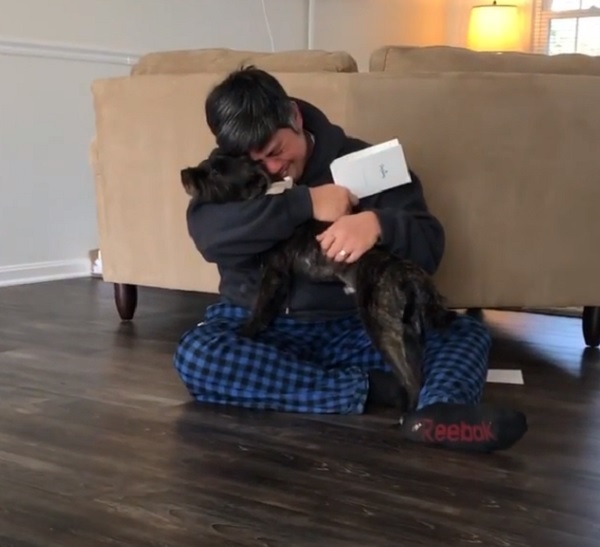 Foster Dog Dad Bursts Into Tears When Wife Surprises Him With Adoption Papers. 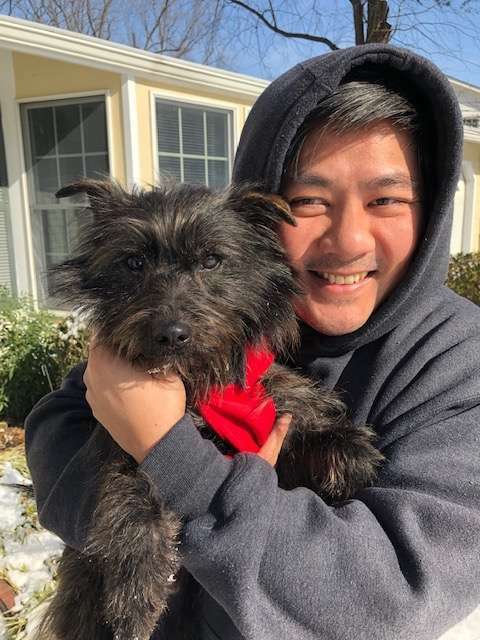 Life didn’t start off very well for a little terrier mix named Toby, but thanks to human kindness he’s now a cherished member of a family with a bright future ahead of him. Toby was abandoned by his owners on the streets of South Korea, a nation known for its booming dog meat industry. 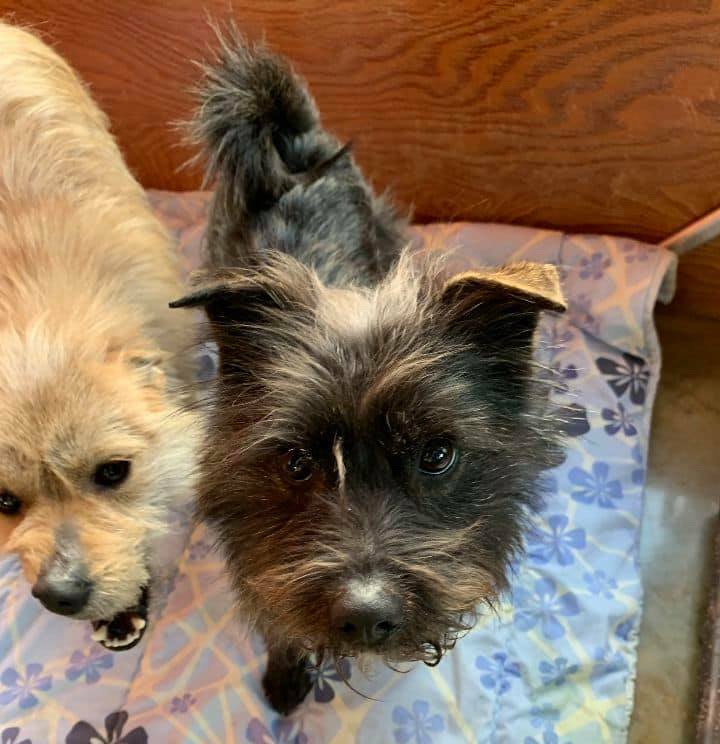 Thankfully, luck was on Toby’s side that day when he wandered into an auto repair shop and the sympathetic owner captured him and took him to an animal shelter instead of a butcher shop. After sitting in the cold, outdoor shelter for much of the winter, a rescue group called Band For Animal saved him. They took him from the shelter and placed him with a foster family. Eventually, the plan was to send Toby to the United States, where he’d have a better shot at finding a home. 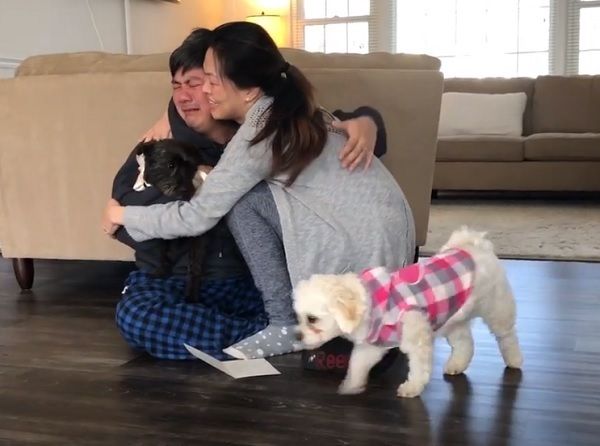 Ann Hoang and her family had been trying to decide whether or not to get a second dog when they became a foster family for Band For Animal. Ann had been pulling for a new dog, but her husband was not convinced. Still, the moment Toby entered their home, he began to wriggle his way into their hearts, too. Toby was terribly shy when he first entered the Hoang home. He’d been neglected, abused, and abandoned, yet his canine heart was still very much open to love. 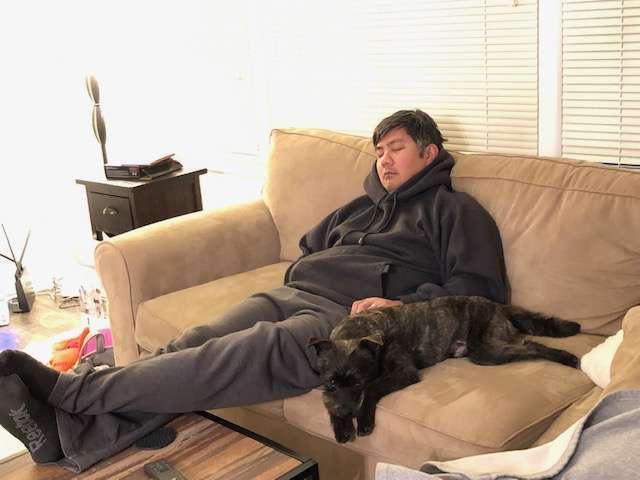 As he became more comfortable and less afraid his real personality began to shine, and soon he was cuddling and play wrestling with the Hoang’s older dog as if he’d always lived there. Most importantly, Toby bonded with Ann’s husband. 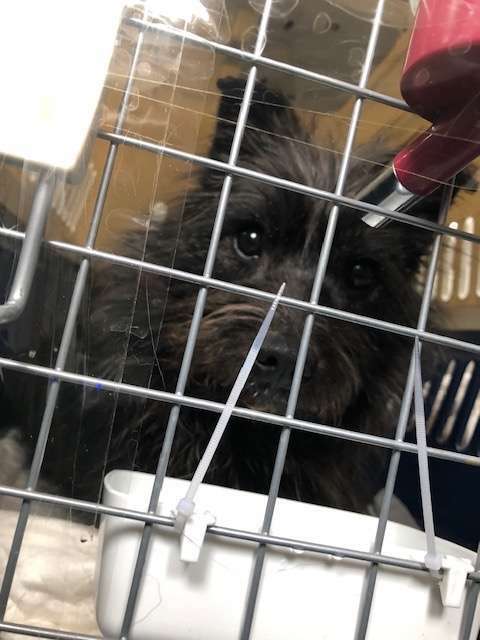 As she watched their love grow Ann knew that giving Toby away would be difficult so when she received word that a few families were interested in adopting Toby she decided to take action. Without telling her husband, Ann arranged to have shelter staff come by their home for an inspection. 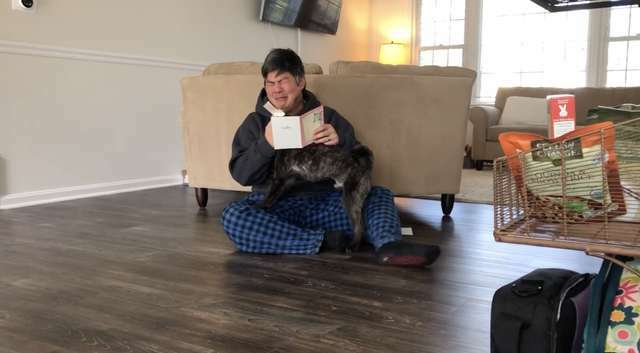 She wrote a letter and had the shelter rep hand it to her husband as he sat on the floor, hugging his new best friend. The range of emotions that cross his face are truly a sight to behold! 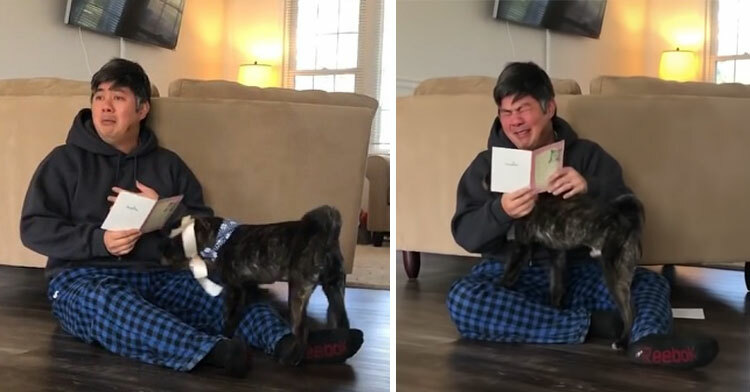 As soon as he realizes what the letter says — that they’re adopting Toby instead of letting him go — the man’s face breaks into a thousand pieces. He begins to weep openly, inspiring Toby to rush over to him to offer kisses and furry hugs. Ann was surprised that her normally stoic husband had such an emotional reaction but says she was thrilled that she made the right choice in asking to adopt Toby. While Ann and her family admit to being “foster failures” on their very first time out of the gate, they couldn’t be happier to have Toby in their lives. 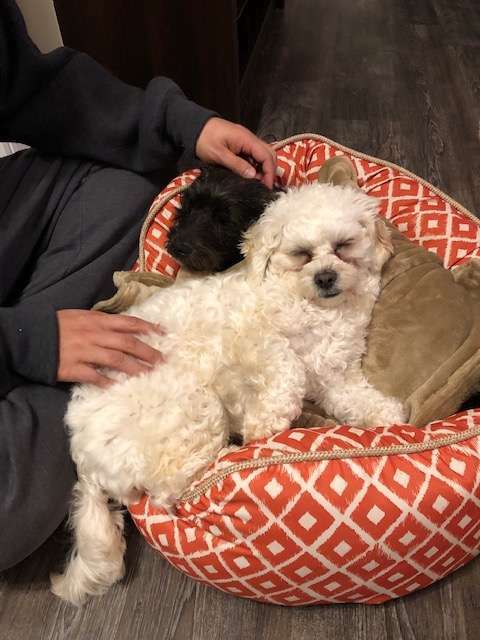 The little dog fits right in and seems to have arrived in their lives at the perfect time. We’d say this is one union that was simply meant to be! Watch Ann’s husband react to this incredible news in the video below and be sure to share!